IBM Lotus Notes is an e-mail client with extended functionality. It also includes such services as calendaring, contact management, instant messaging and even access to blogs, forums, file sharing, video conferencing and more. Even though this program is very handy, one day you might feel that you should make backup copies of all the emails you have. A good idea would be to save Lotus emails as HTML. HTML, as you may happen to know, is a format that contains text, tables, images, and other content that is displayed on the web page. The best way to convert Lotus emails to HTML is use a specialized Lotus email converter, like Total Webmail Converter by CoolUtils. 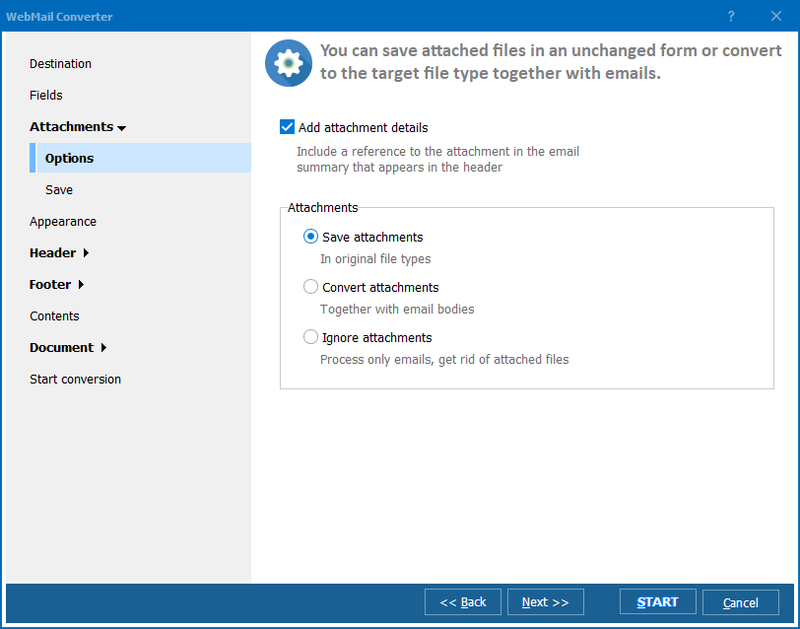 Convert Lotus emails to HTML and other formats in batch. 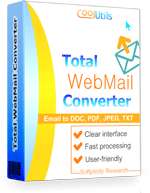 Download Total Webmail Converter. Two versions are available: a free 30-day trial version and a lifelong license for just under $50. Install Total Webmail Converter. Follow the instructions of the installation wizard, it's not a big deal! Open Total Webmail Converter as you would do with any other program. Select the emails you want to convert. 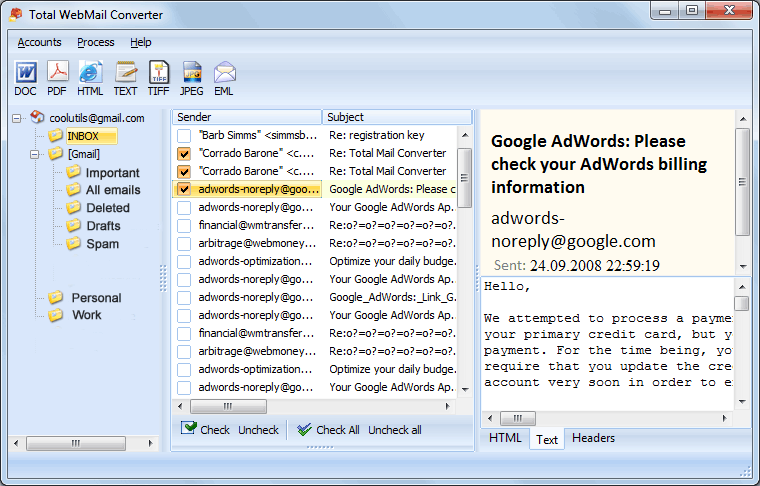 Total Webmail Converter automatically integrates with Lotus Notes and creates a full list of emails you have. Set HTML as target format and click the "Start!" button to begin automatic conversion. 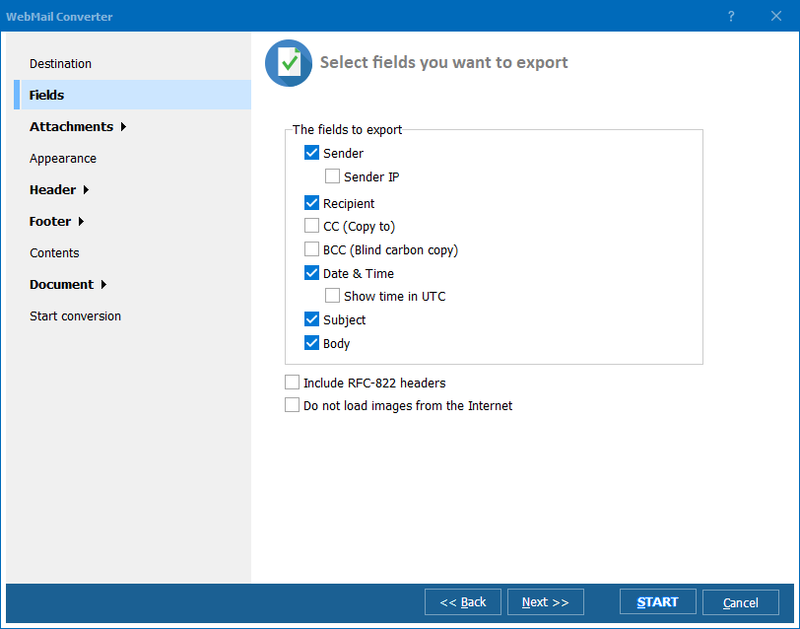 Download your free trial version of Total Webmail Converter now! Or contact CoolUtils to learn more about this offer and other conversion software.